For Amazulu owner Charita Powell, opening her new shop at Reed and Mole streets isn't just a business venture; it's a homecoming. "I grew up here, at 18th and Reed, a lot of folks don't know that," Powell, 52, told PhillyVoice. "I actually bought my grandmother’s house a few years back, so me and my wife were moving back into South Philly since we got the store here. "I'm a South Philly girl, sole to soul." 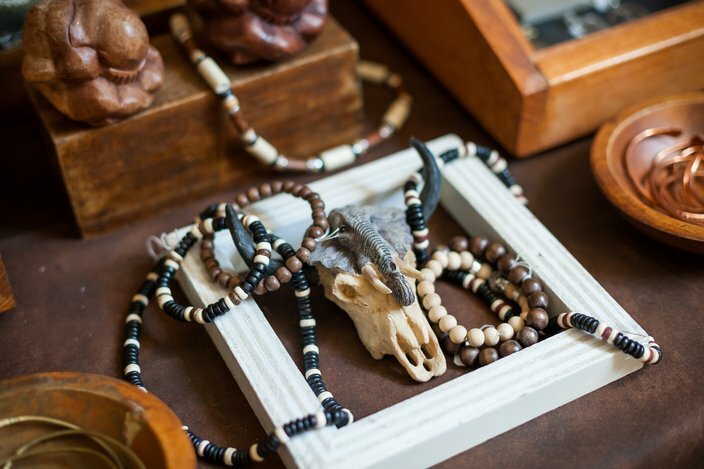 Last month, Powell debuted the Amazulu Living Room boutique, the second location of her Amazulu Collections global artists' brand, which sells everything from handcrafted silver jewelry to French soaps. The first store opened in Reading Terminal Market in 1991 and was later followed up with a showroom in the Putnam Building in Kensington. When a heavy snow caused the building's ceiling to collapse last March, however, she was forced to relocate. The interior of Amazula's Living Room. To the left are linens from a local designer; to the right is a cabinet of candles also sold at the Amish market in Reading Terminal. 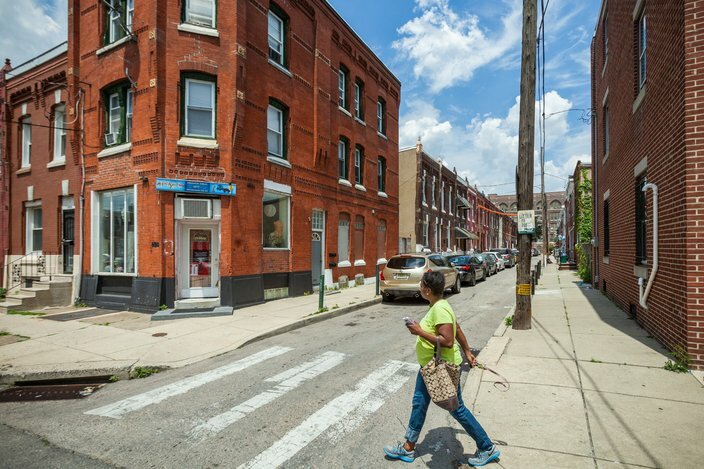 Because she'd already been looking to relocate to her old Point Breeze neighborhood, it was a bit of a no-brainer to scoop up the 1,100-square-foot, 1529 Reed St. storefront — a space that used to be a hair salon, she said. Much like the Reading Terminal Market outpost, the Living Room location offers an array of apparel, dolls, rings, lamps and knick-knacks, with prices ranging from $3 for incense to $900 for some art pieces. About 12 artists are represented, most local, but some from Malaysia, Indonesia or parts of West Africa. 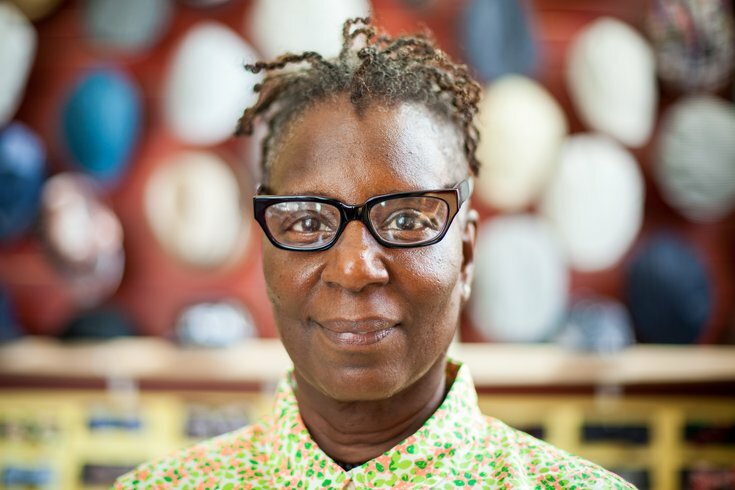 In addition to being a business owner and community organizer, Powell is a silversmith and has dozens of her handmade items, made in both the United States and Indonesia, for sale at Amazula's Living Room. Setting the shop apart, few pieces of jewelry, decorations and dolls found inside are reproduced in bulk. 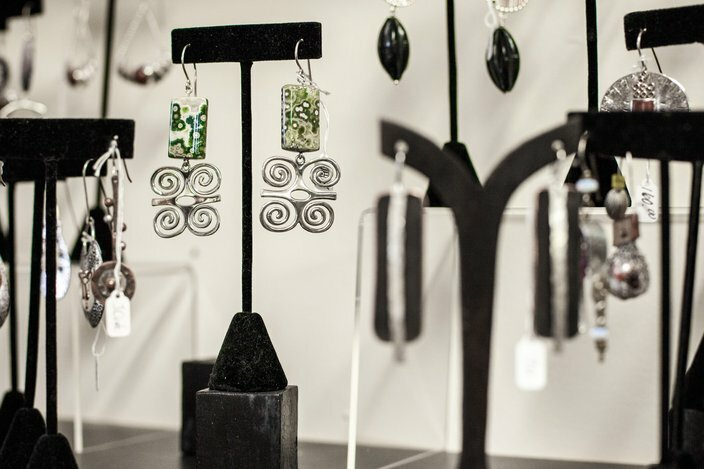 At most, Powell said, she has about six pieces made — meaning you're likely to walk away with a one-of-a-kind item no matter what you buy. To boot, she frequently travels Southeast Asia and Africa in search of new artists, with hopes of finding styles that complement the carefully curated international theme of the store — what she describes as a uniquely "spiritual" aesthetic. Because if the pieces aren't evoking an emotion of some sort, she said, it's just not in the style of Amazulu. “I like people to walk away with something that gives them something to feel, something to think about and something that changes their way of thinking," she said. "It’s almost ‘mind body and spirit.’ That phrase tends to be used a lot, but I do mean that." 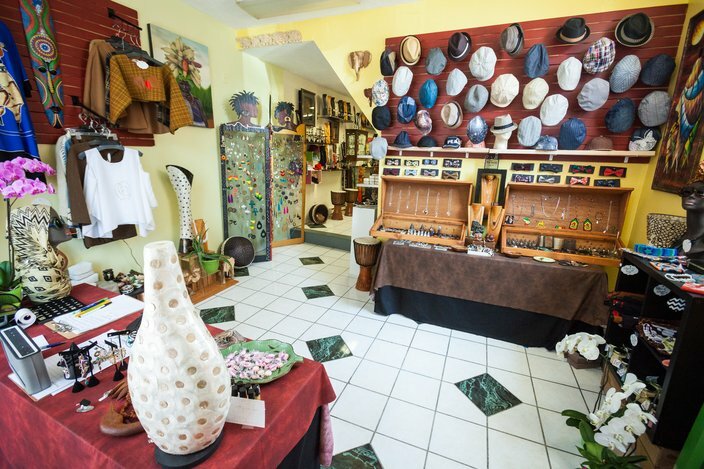 In addition to clothing, art and beauty products, jewelry and sculptures are also available at Amazula's Living Room. The "living room" portion of the shop's name is a nod to the workshops Powell will host in collaboration with the community. In the works is a "spiritual cleansing" called "Dwell Being," in which women from the community will gather in all white to discuss spirituality and how to decorate with items that give meaning to a home, rather than clutter it. A photo exhibit and spoken word performance will also come to Amazulu during the Democratic National Convention in July, and Powell is working to partner with the Kind Institute in the months ahead. LGBT workshops are planned as well. “I’m part of the LGBTQ community, and we will definitely be doing some workshops, just about our differences in our own community — especially for the women of color," she said. "There’s not one bar or place of communal [gathering] — except William Way, which is great and we love them, they’ve done a lot for the community, but just our own personal space to have a conversation." Amazula's Living Room is located at Reed and Mole streets in Point Breeze. The workshops, she said, are a way to engage the community, but also bring in customers — an acknowledgment that Reed Street is hardly a bustling commercial corridor. Or, at least, not yet. But, combined with changing demographics in the neighborhood and a loyal customer base from Reading Terminal, she's confident Point Breeze can keep her shop steady. In July, Powell will host a second grand-opening event to unveil a brand-new collection of pieces she's been working on since January. She's also working to start a First Friday event series for businesses west of Broad Street. In the meantime, Amazulu's Living Room is open for business from noon to 7 p.m., Thursday through Sunday.